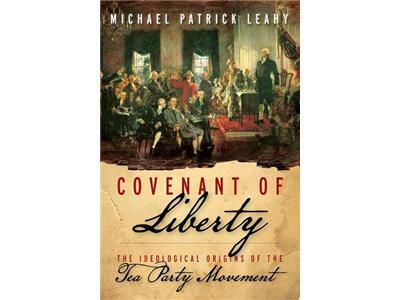 Michael Patrick Leahy's new book Covenant of Liberty: The Ideological Origins of the Tea Party Movement was released yesterday and he'll be on tonight to talk about it and to combat the vitriolic language used by anti-Tea Party groups and individuals. In the book Leahy argues that the modern day Tea Party takes root in the message and belief-system of our Founding Fathers. Also, with Mitt Romney winning the highly important Illinois primary last night, it wasn't all good news. 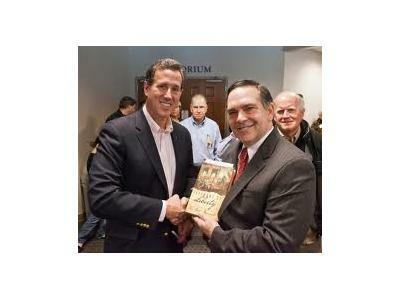 The enthusiasm gap is growing and many attribute this to his lack of attracting the Tea Party groups around the nation. How can Romney close the gap or will Tea Party groups even show up for the all-important 2012 elections? 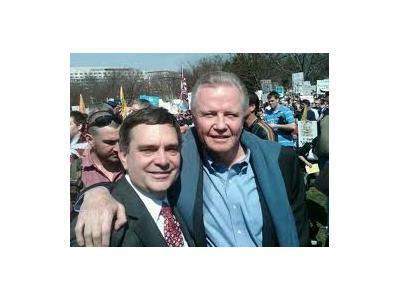 Leahy has the answers from his years of experience with the Tea Party and is tracking the national elections with his newly launched ElectionDayTeaParty.com. The Tea Party had a heavy hand in the historic 2010 elections giving the Republican party a shot of new conservative blood and leadership in the House of Representatives. If the Republican party or blue-dog Democrats want to get elected they need to court this voting bloc. Leahy was instrumental in the early days of the modern Tea Party movement when he launched the social media powerhouse Top Conservatives on Twitter. The group also helped organize the nationwide Tax Day Tea Party demonstrations in 2009, which took place in over 900 cities and had over 1 million attendees.